What if you could work out for 15 minutes and get more fat-burning benefit than spending an hour trudging away on the treadmill or stationary bike? Well you can, and if you’re healthy enough for some intense exercise, you really should be taking advantage of an approach known as High Intensity Interval Training. It’s often referred to as “HIIT” for short, and it is an awesome way for busy individuals and couples to get a fantastic workout with a minimal time commitment. How Do You Do a HIIT Workout? As the name implies, this method is based on “high intensity” periods of exercise broken up into “intervals” that switch back and forth with rest periods. So, you do a given move as hard as you can for a short time, then you do a period of “active rest” to get your breathing and heart rate under control, and then you go back to the high-intensity move. Rinse and repeat. What Types of Exercises Will Work for a HIIT Session? Aside from taking such a short time to complete, one of the best things about a HIIT workout is the built-in flexibility. You can take almost any exercise and make it into a HIIT workout. As you can see, many of these workouts can easily be done anywhere. That means you can do them at home before you leave for work in the morning, at the park over lunch, or even in a hotel room while traveling. The length of the work and rest intervals can vary to meet your fitness level and the specific activity that you’re using for your HIIT workout. Typically, the high-intensity work intervals will be between 30-60 seconds and the rest intervals will be between 30-120 seconds. The ratio between work/rest will determine (in part) how difficult the workout is for you. For beginners, 30 seconds of work followed by 90 seconds of recovery may be best. An intermediate workout may use a 30-60 ratio, while a more advanced routine may utilize even amounts of work and rest (such as 30-30 or even 60-60). Excluding a brief warm-up and cool-down period, a HIIT workout should take a total of 12-20 minutes depending again on your fitness level and the specific activity you are doing for a given workout. If you’re still stuck in the mindset that the best way to burn calories and lose fat is by spending hours doing steady-state cardio (walking, treadmill, cycling, etc. at an even pace), then you may be tempted to go longer. However, if you are physically able to continue a HIIT session for longer than 20 minutes, you are not going hard enough during the work intervals. In fact, that’s a great way to gauge your intensity and effort. At the end of each work interval, you should need the rest interval. And after 12-20 minutes, you should be completely spent. Does HIIT Really Get Results? It may seem strange to think that a workout can actually be effective when you are only training for 15 minutes. However, I can tell you from lots of research, extensive personal experience, and results from many couples that we’ve worked with that HIIT is super effective. The key to HIIT’s effectiveness at shedding fat is not what happens during the workout. 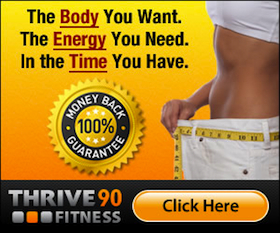 In fact, only a small portion of the total calories are burned during those 15-20 minutes. The magic of HIIT is its effect on your metabolism. If you complete a session with proper intensity, you can expect your body’s metabolism to stay elevated for up to 24 hours! Unlike traditional steady-state cardio where you stop burning extra calories as soon as you step off the treadmill, periodic High Intensity Interval Training workouts can literally make your body a fat-burning furnace. How Often Should I Complete HIIT Workouts? As great as it is, you should not use HIIT exclusively in your exercise schedule. For one thing, your body needs time to recover between these intense workouts, so HIIT should not be done on consecutive days. Also, for all of it’s benefits to your metabolism and cardiovascular system, High Intensity Interval Training doesn’t cover all of your exercise needs. You still need to work on your strength, flexibility and stamina so that you can look and feel your best. For beginners, we recommend one HIIT session per week, while those who are more advanced can benefit from up to three HIIT workouts each week (provided they “hit” different muscle groups each time). It’s important to utilize HIIT appropriately as part of an overall fitness strategy. Where Can I Learn More & Get Specific Workouts? 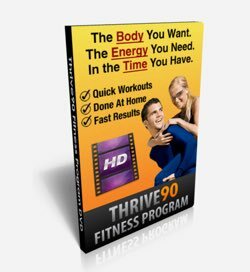 If you would like to learn more and get a specific, video-based fitness system that will get you incredible results in only 15-30 minutes per workout, I encourage you to go check out our exclusive Thrive90 Fitness program. Now, take this information and go take action. Give yourself a HIIT to the gut…and like it! Pretty much sounds like Crossfit! Hey there, thanks for the comment. You’re are partially right in that Crossfit uses a lot of interval training, although it’s largely based on doing moves for time (such as doing as many pull-ups as possible in 60 seconds) and many Crossfit exercises involve free weights (and require a gym). The majority of the HIIT workouts I prefer are bodyweight-only and can be done anywhere. They are typically shorter than a full Crossfit workout as well. Yes! I love HIIT. It’s so easy to fit into a busy schedule. Sometimes I will go out to the street in front of my house (late at night, when no one is watching!) and just sprint down the block one way and jog back the other way about ten times or so–whatever I have time for. It’s a great workout that’s over quickly. Fantastic Gayle! Your description of doing sprints on the street made me chuckle. I was doing some sprints on my street a few weeks back and was getting some interesting looks from my neighbors as they were shuttling kids to school or leaving from work. Like you I was sprinting and a slow jog back. Glad to hear you dig these too. I’ve gotten those same strange looks. At our old house I would typically go for a 4 mile run, then end with a series of sprint-walks on the block next to our house. Apparently the neighbors thought it was entertaining to watch. Have you done any research on the Tabata-Protocol? 4 minutes of all out intensity with 20 seconds on and 10 seconds off for eight intervals. I love it. Most of the time I stick with the strict protocol, but every once in a while I want to push longer to train for lasting cardio intervals. My latest workout pulled several exercises together Crossfit Tabata-This Style for 24 minutes of fun that produced quite a workout puddle. Great post. HIIT is an awesome way to pack more into a shorter amount of time. 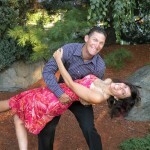 Troy – I have looked into Tabata workouts and think they are a great way to increase cardio as well as stamina. I’ve even done some in the past. I’ve recently completed Insanity and have to say I like the longer intensity period, 3 minutes, with a short, 30 sec, rest. There is something about giving it your all for the longer intensity and then trying to recover quick enough to do it again. Have you tried this MAX interval training before? I’ve done intervals up to 60 seconds with kettlebells or bodyweights. When I do intervals running I do several minutes – current favorite it 3 minutes on with 1 minute recovery by walking. I believe this was mentioned: correct form helps to prevent injuries. Don’t let the interval timer rush you into completing a bunch of lunges that destroy or hurt your knees, ankles, shoulders, back, etc. So if you don’t have the strength or stability to do an activity safely, put it aside for non-HIIT workouts. Great points Jason. I totally agree with your points and thank you for your insights. We don’t want folks getting hurt as it doesn’t do anyone any good if that happens. I like to giving my thanks to you all,today I received my 1o minutes workout program.that is great for me and for the people who does not have time and have a very busy life.